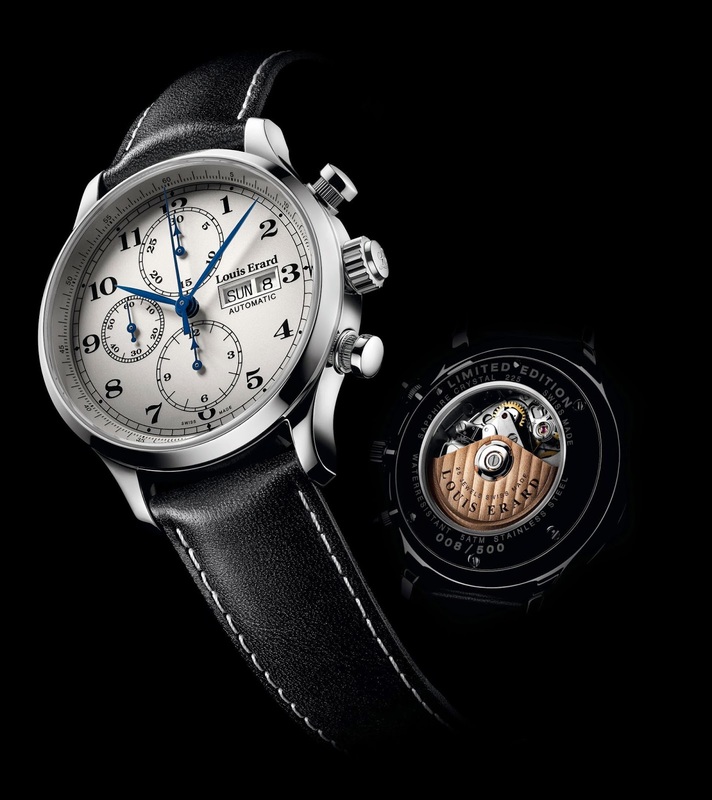 Traditional Swiss watch maker Louis Erard enhances its 1931 collection with the limited edition Vintage Chronograph timepiece. Limited to 500 pieces in Stainless steel, this vintage variation is equipped with the ETA 7750 Valjoux automatic calibre featuring a decorated oscillating weight. 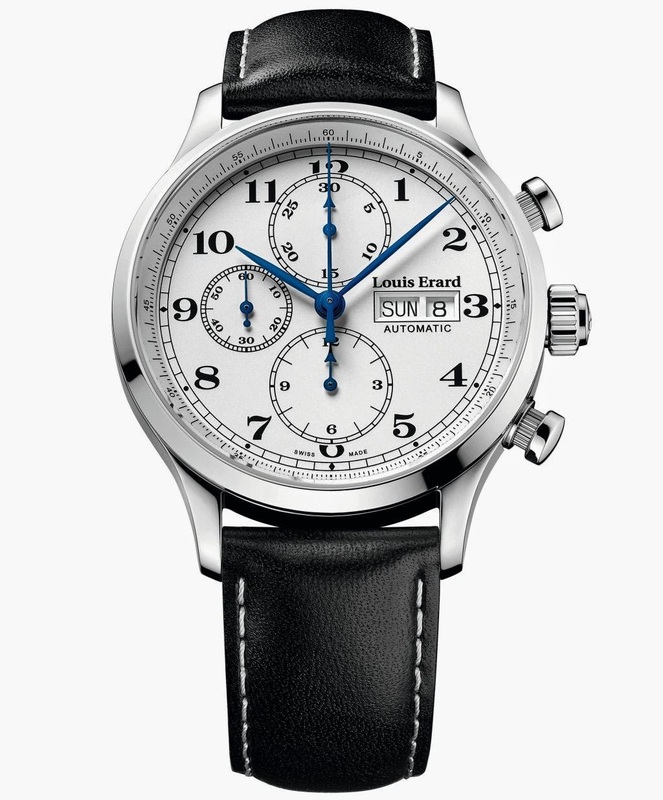 Its 42.5 mm stainless steel case offers a water-resistant to 5 ATM. Other features include anti-reflective sapphire crystal, transparent case back, silver-toned dial and black leather strap with pin buckle. The gleaming silver-toned dial boasts blued hands, day and date windows at 3 o’clock and the 12-hour and 30-minute counters at 6 and 12 o’clock respectively, small seconds at 9 o’clock. This 500-piece limited edition timepiece will be delivered in a special presentation box.